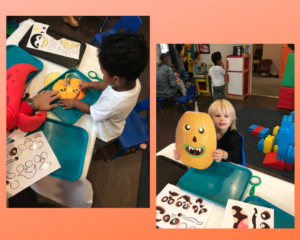 Last week was Halloween and we completed our October theme of “Fall Family Fun.” We prepared for Halloween by decorating sticker pumpkins with different kinds of mouths, noses, and eyes, and we reviewed various parts of our bodies and faces. 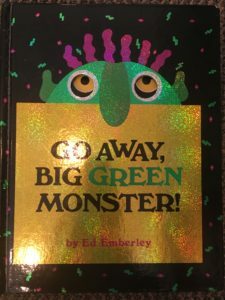 We also got ready for Halloween by reading the book Go Away Big Green Monster. The children were able to use their voices to say “Go Away” and each part of the monster goes away. This teaches children not only that monsters are make-believe and not real, but also about the power of using their voice to send the monster parts away. 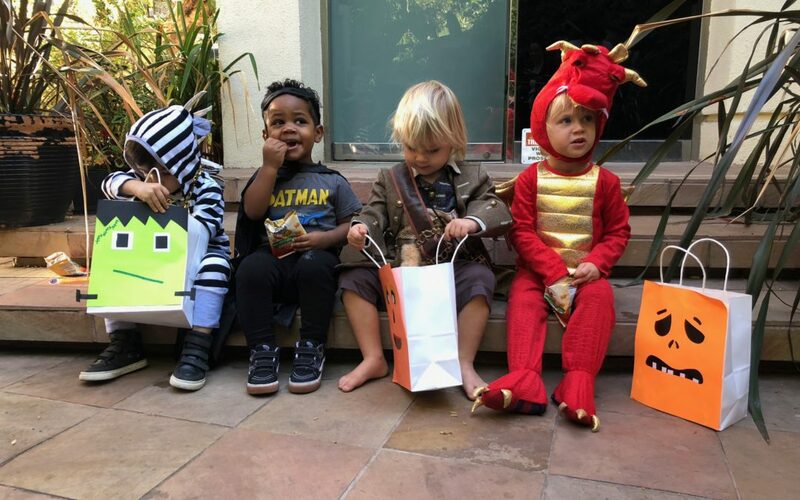 We trick-or-treated in the building and in our neighborhood, where the children were able to connect with local people who provided them with healthy treats and toys for their Halloween bags; this introduced them to the ritual of knocking on doors and saying “trick or treat” and holding out their bags. 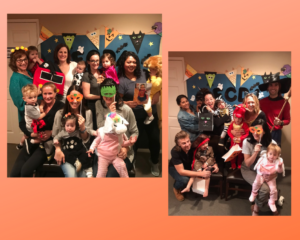 It was a lovely family time as children and parents dressed up and partied together along with teachers; it was a good community building experience!